At least when it comes to television. For 13 QUICK THOUGHTS on the Kitschy Kick of FILMATION BATMAN, click here. You’ll be glad you did. Who’s the Fifth Beatle to you? Brian Epstein? Pete Best? For me, it’s George Martin. With apologies to Vivek Tiwary and his wonderful graphic novel, I’ll always side with the music over the business side of things. It got me to thinking about Mr. Freeze and where he fits into the Bat-firmament. If you take it on faith that the Joker, the Penguin, Catwoman and the Riddler are the Big Four — and I do — then who’s fifth? In the comics, I think it comes down to Two-Face or Ra’s al Ghul. Two-Face is probably the better choice because of his longevity and because he fits in better with the other four. (Hell, you can make the argument that maybe the Riddler’s the fifth wheel in the comics.) Ra’s is more dangerous and powerful but he’s sort of his own, Bondian thing, a different level entirely. Mr. Freeze? He’s a star but he’s not an all-star, y’know? 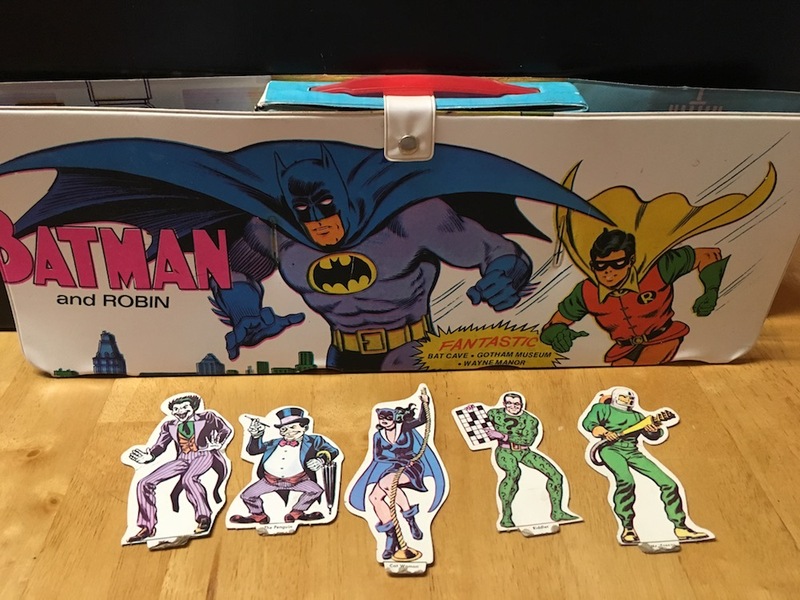 When Filmation’s Batman debuted in late 1968, there Mr. 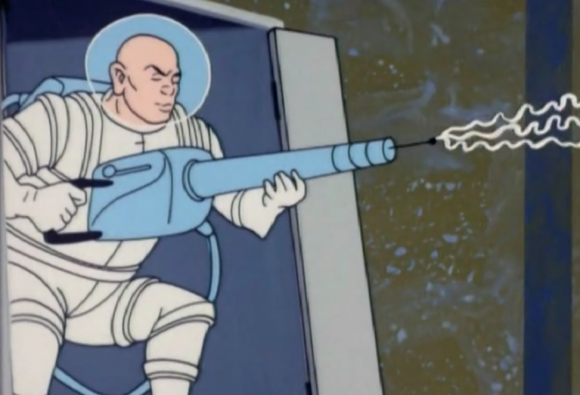 Freeze was, right in the credits — along with no less than six appearances across the show’s short run. All that in mind, Mr. Freeze is a bad guy I’ve always dug. A freeze gun is a really cool weapon, pun intended. It’s like he’s playing “Red Light, Green Light” with Batman and Robin, one of the great backyard games. Unfortunately, Mr. Freeze has rarely lived up to his storytelling potential in the comics. You have to go to the Batman: The Animated Series episode Heart of Ice if you’re looking for the definitive take in any media. But that’s OK, I guess. 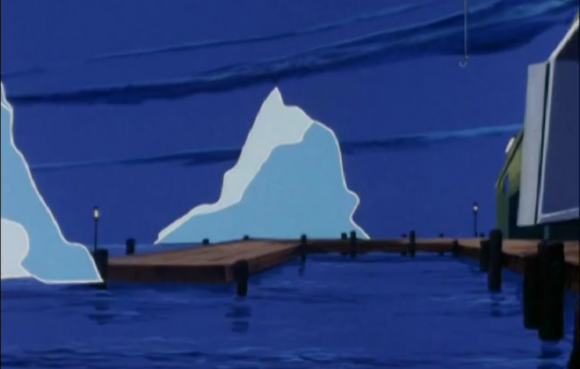 We retro-minded folks will always have those icebergs in Gotham Harbor. For THE BATCAVE PODCAST featuring The Cool, Cruel Mr. Freeze, click here or here or check out iTunes. For 13 QUICK THOUGHTS on the Kitschy Kick of FILMATION BATMAN, click here. Sorry, meant 8, 9 & 10! I’d argue that, in the sixties show, King Tut was the fifth biggest baddie– he appeared more than any other original villain, he appeared more than any COMICS villain but the Big Four, and he always was consistently played by the same guy (beating even Riddler and Catwoman at that). It’s kinda telling that in the second to last episode, where the show feels the need to showcase (a series of stand-ins for) the series’ biggest hitters for a glorified collective cameo, they have Penguin, Joker, Riddler, Catwoman, King Tut and Egghead, but not Mr. Freeze or, say, Mad Hatter.